But hey I’m back in 2019 and ready to share some more information and story in Surrey so please do stay tune! And I will be planning on doing a whole series of articles with different very essential and important topics, whether for the freshers or all the postgraduates, really hope to see you guys in the future😉Before letting everyone being too excited about the new articles, I have literally too many things I’ll need to update for these 3 months and you know it was holiday season😜 If you’re ready for this, scroll your mouse and keep reading! So the first thing I’ll have to say is…HAPPY LUNAR NEW YEAR! I know it’s already been a week but it’s never too late for greetings right😂Things went crazy last week because of the new year celebrations, I have 4 gatherings in ONE week, oh my world. Didn’t even know how I got through all of them hahaha. But here you go, let me tell you guys through the interesting parts of them! So last Monday on the New Year’s Eve, which is the day that everyone will have their meals with their family. And for us internationals, we are definitely meeting up and have hot pot on that day for sure! 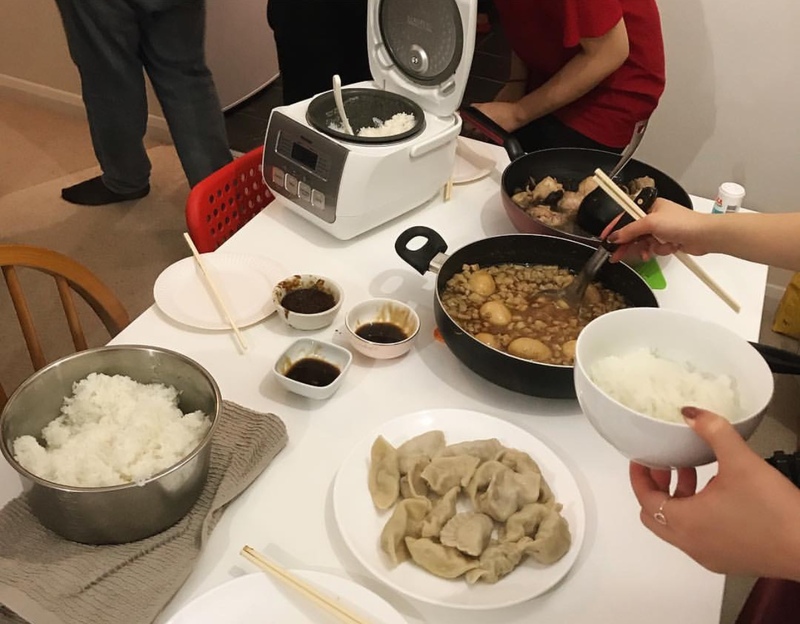 Due to the time zone difference, I have seen so many pictures for the homemade new year meal all over the social media when I was having lunch, the struggle is real😭😭😭Something really interesting was because some of us from the same course were having lunch together, and all the Asian who celebrate Lunar new year were all FaceTiming with their family at the same time, cause it’ll be too late if we do it after all of our lectures. 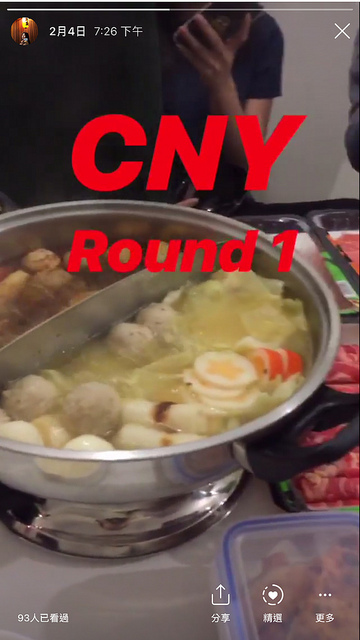 But seeing so many of us just FaceTiming at the same time, while the others are still having lunch and have no idea what we are talking about just make me feel very funny🤣So at that night, 9 of us have eaten 6 boxes of meat slice and 2 bunches of vegetables and mushroom, what I’ll say is hot pot is love and hot pot is life😍Although this girl got 9am the next day so literally stay until the last minute and got the last bus back home, but it was the best opening for the coming new year celebrations for sure! And in 24 hours, it’s a potluck for all my mates from FVPT! 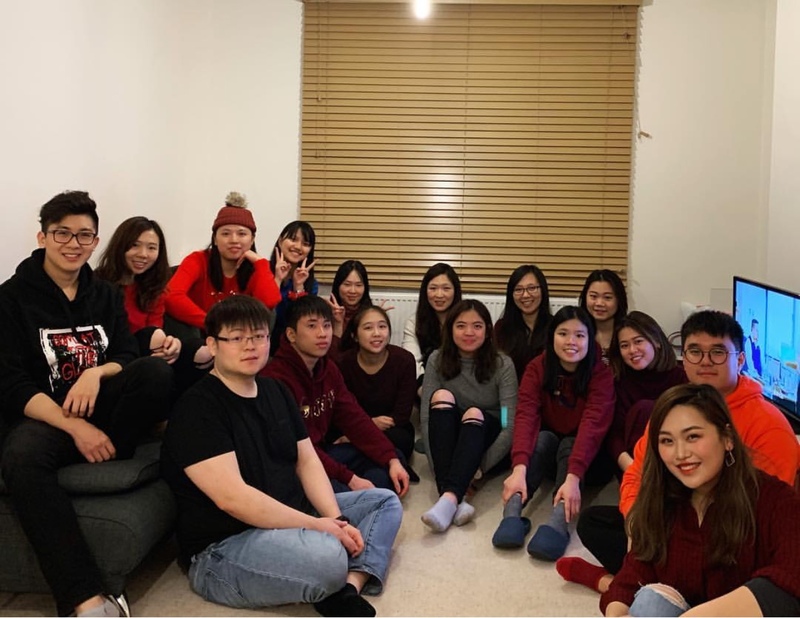 Believe everyone still remembered the new year article last year, we made 4-5 dishes and hot pot in 3 hours and that was such a fun night, so we decided to hold another social event in our course, but this time it’s potluck, so none of us will be exhausted from cooking before actually eating some food haha! 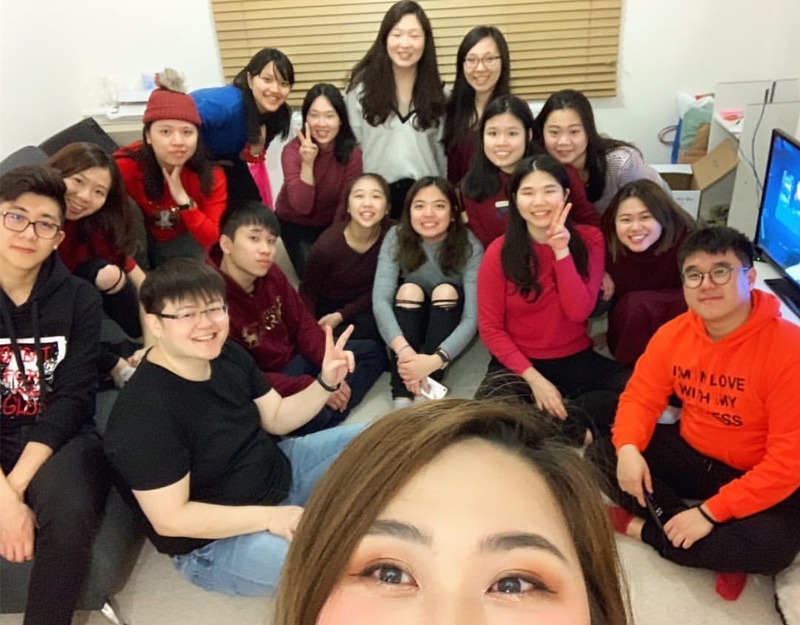 This year was not only the people from our year, our first year FVPT came along as well, we didn’t really got much opportunity to hang out with the first year although it is already the second semester of the year. And this time we got to just have fun, having some authentic food that everyone brought with them, having some small drinks and watch the films we made, just like what people from FVPT usually do! And to represent myself as a Taiwanese (obviously😆) I made the “Pork Belly Minced Rice” that I believe all Taiwanese will agree with me as the most authentic dish in Taiwan, took me 2 hours to slow cook it for the meat to soak into the sauce and eat with the hot steam rice, oh my god, just writing about this I am hungry again! I’m glad all of them love my dish, cause I was a bit concern that some people wouldn’t eat pork belly since it is kinda oily, but they finished my dish! Well, guess I should be proud of my cooking from now, since I have been trained to cook myself since I got into uni haha. 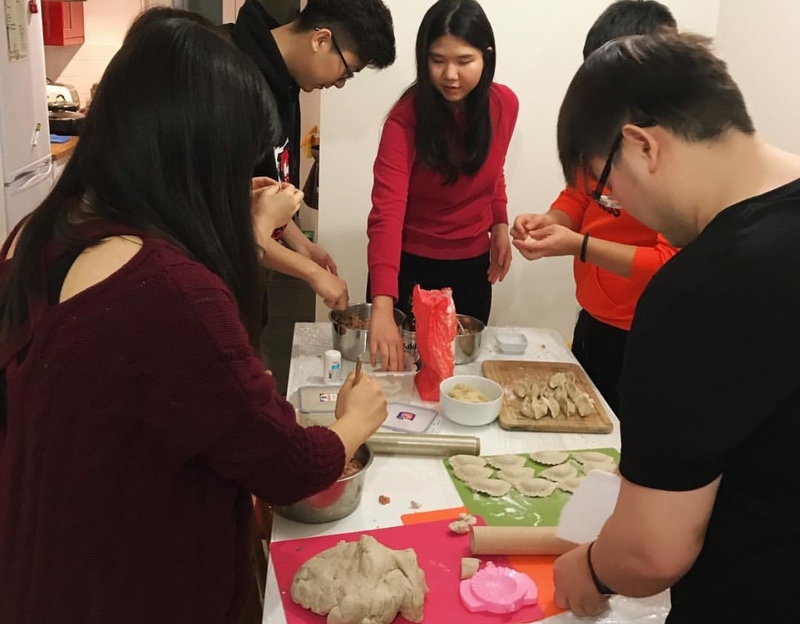 One of my coursemate made Cha-Shiu and it was absolutely amazing! The friend from China of course brought 3 tasty Chinese dishes, and add in some spice for everyone to challenge! It was not that spicy in our opinion but not for the Europeans obviously🤣And there were Green bean soup, stir fried noodles, and some Bulgarian pastry, seriously everyone is so good at cooking and it was an amazing night. It was always a pleasure to share someone with your own culture and food, wish we can make this a traditional and have it every year!